Richard Shankman has been a meditator since 1970. He teaches classes and meditation retreats at Dharma centers and groups nationally. 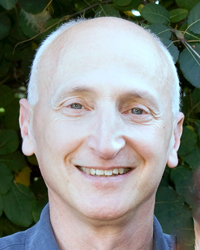 Richard is the guiding teacher of the Metta Dharma Foundation and co-founder of the Sati Center for Buddhist Studies and of Mindful Schools. He has sat many silent, intensive meditation retreats for periods up to eleven months long. Richard is the author of The Art and Skill of Buddhist Meditation and The Experience of Samadhi.